Merrell® Jungle Moc Nubuck Slip-on Shoes. Easy style and comfort, Merrell top quality... welcome to the Jungle! 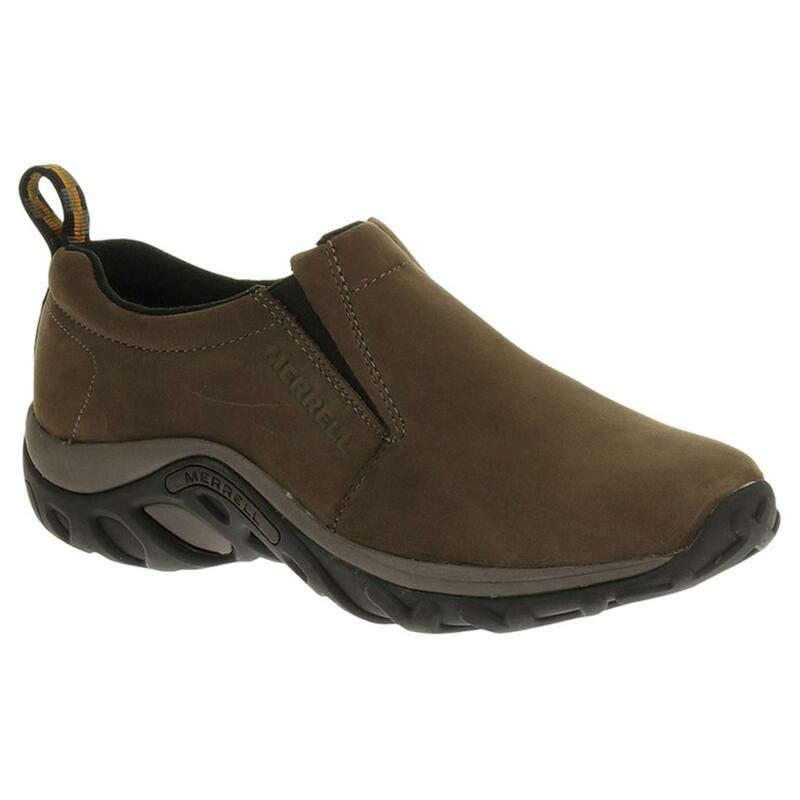 After all these years, the Jungle Moc is still Merrell®'s #1 best-selling style, and for good reason! They're cool, casual, and oh-so-easy to wear with slip-on, slip-off action. 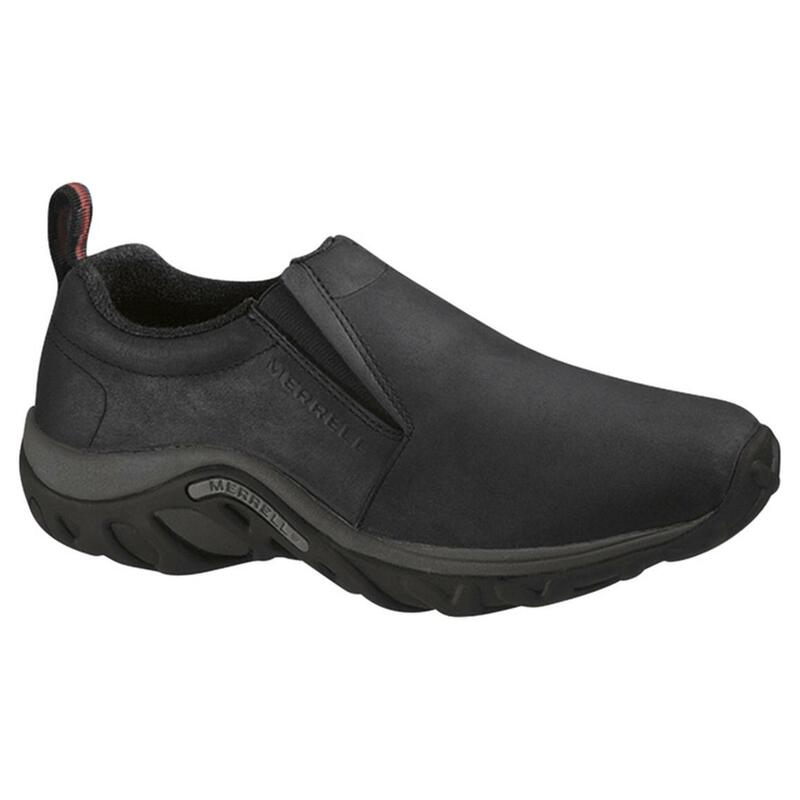 Mens Merrell Jungle Moc Nubuck Slip-on Shoes is rated 5.0 out of 5 by 5. Rated 5 out of 5 by AbnRgr from Great all around shoe Great fit out of the box and well made. Rated 5 out of 5 by Skip from Perfect shoe I am on my feet all day long. These shoes fit perfectly out of the box and did not even need a break in. I am even thinking about another pair they feel so good. Rated 5 out of 5 by Janitor Gary from This is my 2nd pair and I love how they fit. I"m on my feet all day and I no longer get sore feet. Rated 5 out of 5 by Martin from Best Price This shoe has been my basic "go to work" shoe for 8 years. Easy on, easy off, comfortable. Must be careful on wet tile with this tread. But Merrell has similar shoes with more aggressive tread,too! All for great prices at SG!